In Fall 2011, Ottawa residents Marta Pappalardo and MaryAnne Brown met at a mutual friend’s wedding in London, Ontario. Their husbands had gotten to know each other over the years through various World Youth Day and Toronto Catholic young adult events. Marta and MaryAnne shared their past experiences with the TOOL movement – Marta as a former member of a Polish youth TOOL group and MaryAnne as a former observer of a Team in Washington, DC, when she and her husband lived briefly in the area. It wasn’t long before the two ladies were raising a glass and toasting to plans for the formation of an Ottawa Team. Due to the scarcity of Anglophone Teams in the National Capital Region, it took a while to locate a pilot couple. As fortune would have it, they were eventually put in touch with a young, dynamic couple from a Francophone Team in Gatineau, Quebec named Marie-Claude and Heath Baxa. 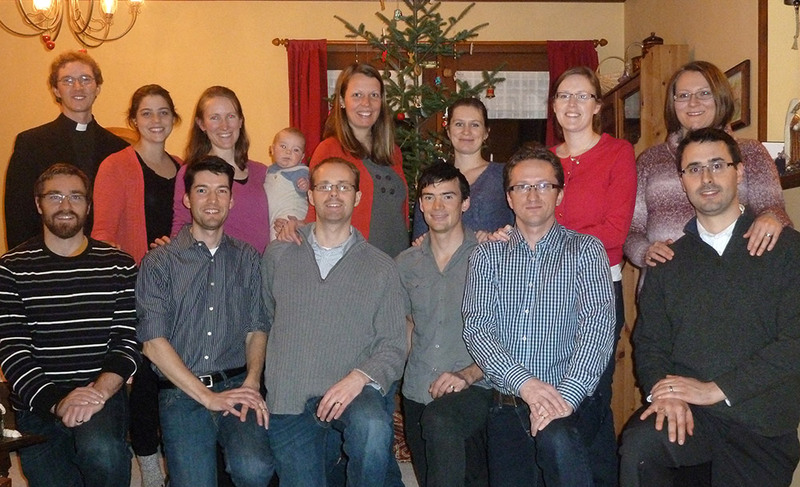 After recruiting a few more interested Ottawa couples, a general interest meeting was held in November 2012 during which the Baxas shared their experiences in the movement. It wasn’t long before all five couples at the meeting had signed-up and the Ottawa Teams of Our Lady was born. Their first formal meeting occurred just a few months later in January 2013. The pilot sessions were a great success and new bonds of fellowship were forged – so much so that Marie Claude and Heath decided they couldn’t bring themselves to leave the group and are now delighted to be full members. The Team was also blessed to find a young and enthusiastic priest – Fr. Dean Dowle, a student of canon law at St. Paul’s University – to help guide them in their pursuit of happy, healthy and faith-filled marriages.